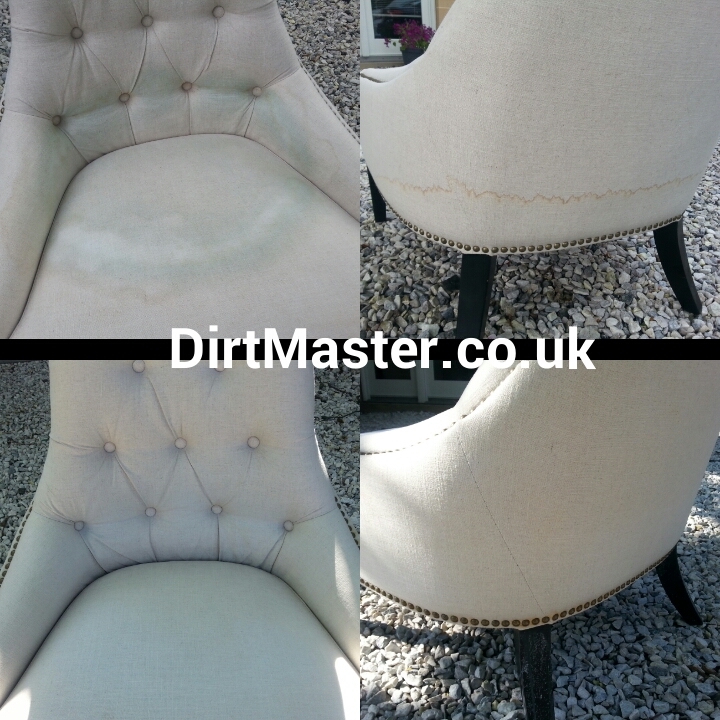 We were called to clean this flood damaged linen/cotton mix occasional chair. The flood water had created cellulosic browning staining. The customer had also used washing up liquid (the circular green tinge), but this added to the problem. As you can see from the photo we managed to fully restore the chair to its former glory. Not only removing the cellulosic staining and green stains created by the DIY attempt but also fully cleaned and sanitised removing any nasty contaminants that flood water can cause. If you have any upholstery or carpet cleaning questions, or if based in Edinburgh and would like a free quotation please don’t hesitate to contact us on 0131 556 3367. Visit our new Blog! Updated weekly with news, offers and photos of recent cleaning work.